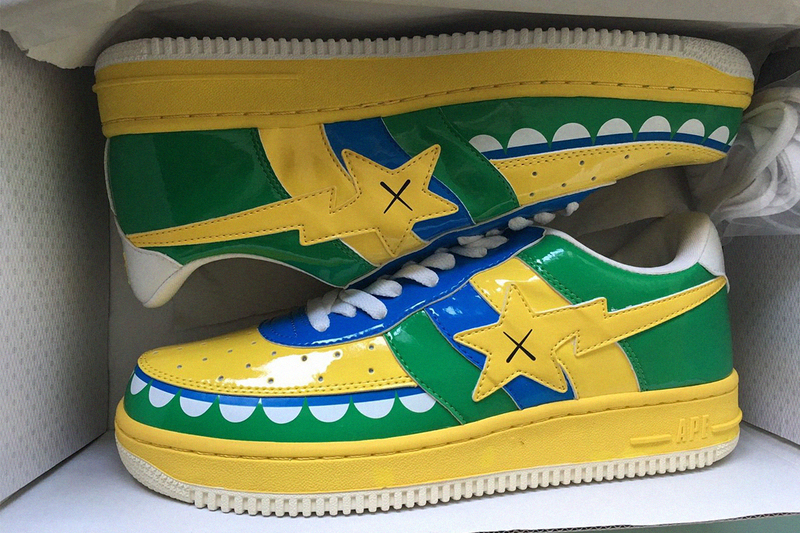 Is A Bathing Ape’s BAPE STA Ready For a Comeback? The word iconic gets flung around quite a bit, often without need. While certain cases are more deserving than others, Japanese streetwear mainstay A Bathing Ape certainly carries iconic status in the Highsnobiety universe. 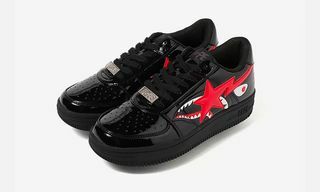 Founded by legendary designer NIGO in 1993, BAPE is responsible for a huge number of influential streetwear products, including the full-zip shark hoodie, the beloved Baby Milo range, and of course the BAPE STA sneaker. Of course, any sneakerhead will point out the treeful of similarities between Nike’s Air Force 1 and the BAPE STA — it’s a classic case of Baby Milo see, Baby Milo do. From the perforated toe box, outsole, and recognizable cupsole right down to the midsole branding and shooting star motif that lifts from Nike’s Swoosh insignia, the likeness is uncanny. 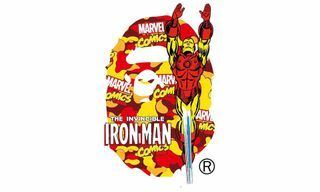 But part of the intrigue comes from the fact that Nike never really pursued legal action against A Bathing Ape. The BAPE STA exists as a kind of original copy that hasn’t been challenged, allowing it to take on a life of its own. 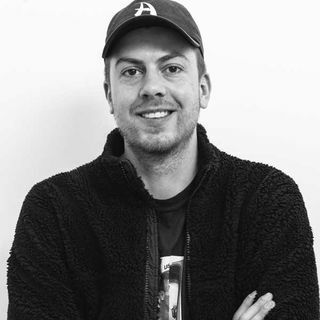 Matt Mason, author of The Pirate’s Dilemma: How Youth Culture Is Reinventing Capitalism, wrote in his book that instead of suing NIGO, Nike took a stake in his firm after realizing he had spotted a gap in the market. 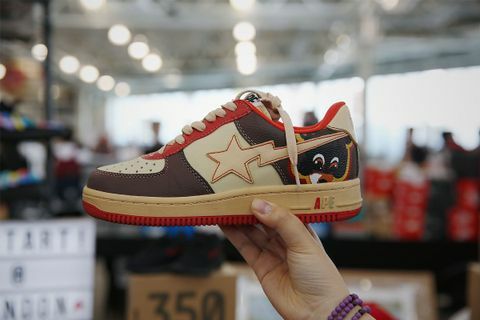 True or not, the theory was cited in this The Economist article and was posted on popular forum NikeTalk as the “definitive” reason why A Bathing Ape was allowed to continue producing the BAPE STA. 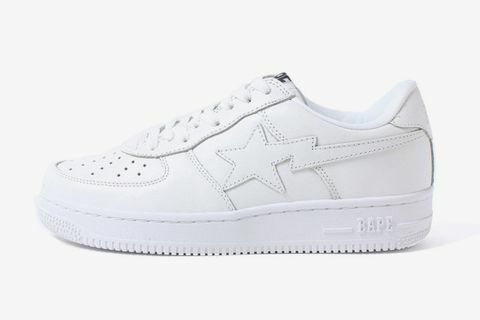 The BAPE STA was ahead of its time in the early ’00s as a streetwear product that took cues from sportswear. 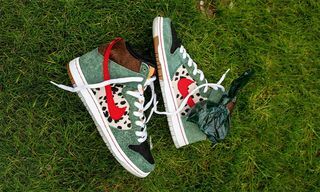 The Air Force 1 was originally a basketball shoe, but NIGO had the foresight to take an athletic silhouette and popularize it as a lifestyle item by producing the BAPE STA in a range of vivid colorways and exotic materials that Nike — until that point — had never thought to use. 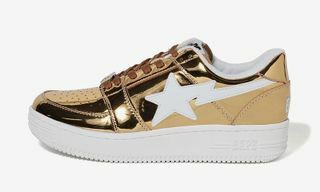 In addition to being made using neon patent leather and unusual textiles such as ostrich, the BAPE STA has also been the subject of memorable collaborations with KAWS, Daft Punk, and Kanye West. More recently, KITH’s Ronnie Fieg had a hand in giving it a special-edition makeover, while A Bathing Ape re-released a pack of “Cotton Candy” BAPE STAs. 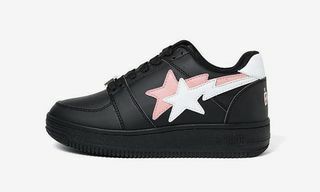 The Japanese label has also dropped a women’s-exclusive pack of Double BAPE STAs, which play on Nike’s recent obsession with excessive logos and branding. 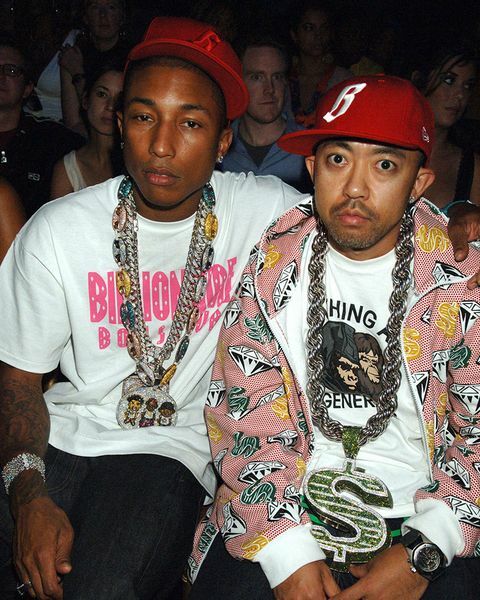 NIGO’s BAPE STA definitely deserves its own chapter in the history of fashion bootlegging. 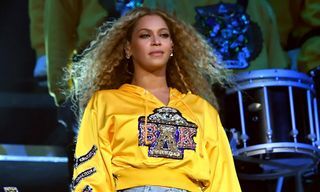 Referential designs have always been a huge part of streetwear and fashion, from modern music merch recalling ’80s heavy metal graphics to Supreme’s seasonal collections laden with obscure references. The BAPE STA wasn’t so much a Nike rip as a nod of respect or an homage to one of the most globally recognized sports brands. NIGO’s choice to riff on the Air Force 1 also fits with his fascination not only with Americana in general but also hip-hop. Heron Preston even bootlegged the bootleg in 2015, creating his own Gucci-inspired Air Force 1 with BAPE STA branding. 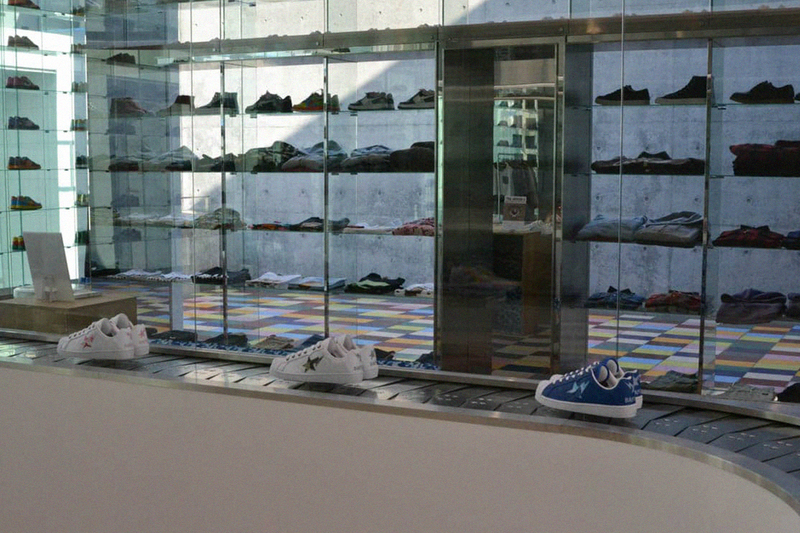 Anyone who visited a BAPE store in Japan or the US in the ’00s will recall the hypnotizing BAPE STA conveyor belt rotating tantalizingly in the window. 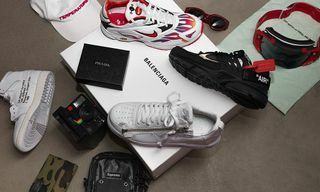 Designed by architecture firm Wonderwall, BAPE’s flagship stores were a way for NIGO to make a statement about the brand, and displaying the products in such a creative way was part of this story. As Mason wrote in The Pirate’s Dilemma, “The best way to profit from pirates is to copy them.” Since the BAPE STA, Nike has ramped up production of the Air Force 1, releasing more and more variations of the silhouette. 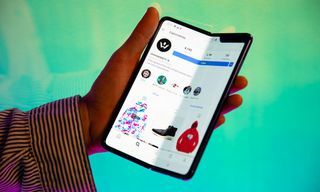 The perfect example would be 2018’s women’s-exclusive “The 1 Reimagined” pack, which saw 10 women creatives design 10 reimagined Air Force and Air Jordan 1s. 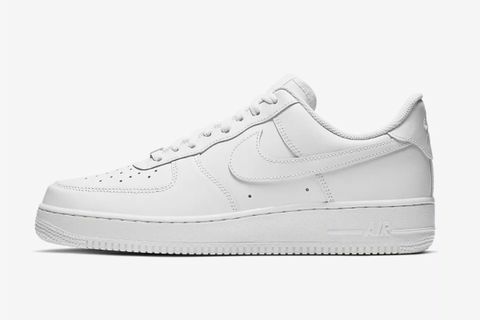 And Nike’s latest Air Force 1 releases reimagine the sneaker with today’s utilitarian trend in mind. 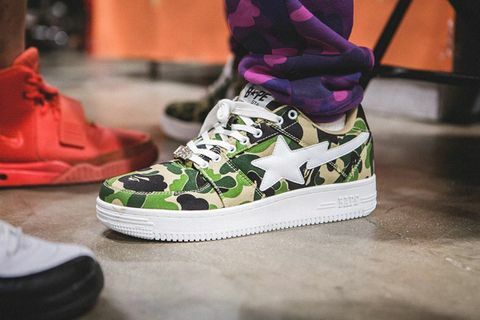 Now, with Nike pushing modern executions of the Air Force 1, the Swoosh is upholding a narrative and a foundation for the BAPE STA to make a comeback. 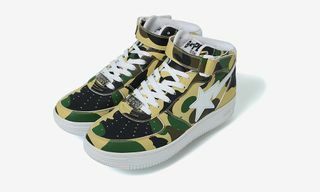 BAPE has reduced its footwear output in recent years, so the timing could be right for a grand reintroduction, especially with hip-hop co-signs from Travis Scott, Future, and other names keeping BAPE footwear in the limelight. Leave your thoughts on a possible BAPE STA comeback below.